Being creative involves looking at things differently. We are trying to help our children see possibilities were most people only see trash. We love crafts that involve reusing items that would otherwise be thrown away. 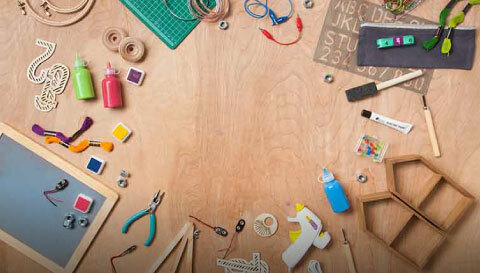 With this craft, you can enjoy a coffee break and help spark your child's creativity at the same time. Definitely a winner in my book. The sleeve will have two perforated areas. Tear them apart so you will have two pieces. Cut the sleeve horizontally into about six strips. You will also want to cut a seventh strip for the tree trunk. If you hit up Starbucks like we did, try and keep the star on the logo on one strip so it can go on the top of your tree. Take the strips and glue them to the "tree trunk strip." We left a little space in between each branch because it looked cool. Once the glue is dry cut the ornament into a Christmas tree shape (triangle). Then use some thin craft wire to make a loop so you can hang your ornament. You can use a needle to poke a hole through the cardboard. Wrap the wire around itself and you're done! Every Christmas morning, we go to Starbucks after we open presents, It's been a tradition that we all love. And this homemade craft is a way for me to remember these special times throughout the years.